heard this evening that angus is after getting a warrior 165 to rent for days fising,first in waterford and well needed save people towing long distances and still fish out of a small boat.maybe he might come on and put an add on site for more info. Well Barry if thats true its good to see someone with a pioneering idea, that would suit a lot of people. Fair play to him for making the effort to get people on the water. Picking boat up next week .she will be ready for hire by mid may if anyone is intrested give me a phone. the boats 2nd hand from a pal in scotland its fitted with a 70hp etec its got all the gear for anyone to have a great days fishing . when i get a pic i am going to put up all the details . 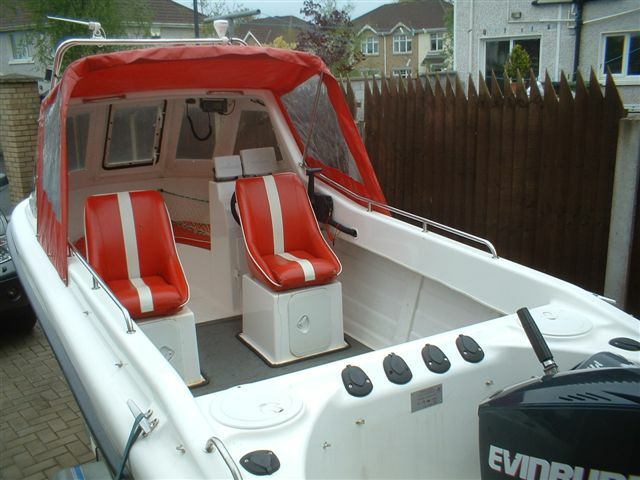 Hi lads heres a pic of the warrior fitted with a 70 etc and a 4hp stand by engine it has a silva dsc radio, a lowrance 5000c gps plotter a lowrance 105 c fishfinder 2 bait wells with air pumps fitted to one . a 7kg CQR anchor 10 meters of 10mm chain and around 300 meters of 10mm rope . you will need positive ID passport, driving licence and will need to show you are able to handle the boat .